"Private Manning is a traitor and should not have been turned into a martyr, as Senator Cotton said. 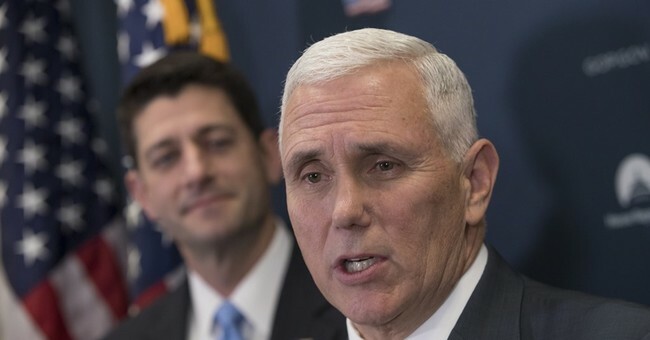 Private Manning's actions compromised our national security, endangered American personnel downrange, and compromised individuals in Afghanistan who were cooperating with our forces by leaking 750,000 documents to WikiLeaks," Pence said. Pence’s remarks echo those of top Republicans, who blasted Obama’s decision to commute Manning’s prison sentence on Tuesday. "This is just outrageous," House Speaker Paul Ryan said in a statement. "Chelsea Manning’s treachery put American lives at risk and exposed some of our nation’s most sensitive secrets. President Obama now leaves in place a dangerous precedent that those who compromise our national security won’t be held accountable for their crimes." Manning was convicted of violating the Espionage Act in 2013 for stealing and leaking classified material about U.S. national security to WikiLeaks in 2010.